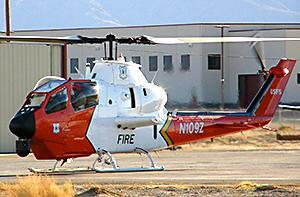 AKA Bell 209. 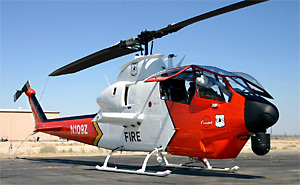 Retired US Army AH-1Fs have been converted into US Forest Service Firewatch Cobras with infrared and low-light sensors for real-time fire monitoring, GIS mapping, real-time color video, geo-referenced infrared, and infrared downlink. In addition to intelligence gathering, they are also used as a platform for an Air Attack Group Supervisor (ATGS) or a Helicopter Coordinator (HLCO). 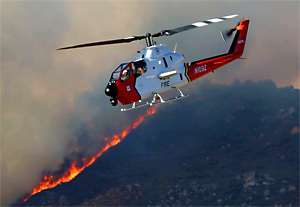 Resources related to the 209 Firewatch Cobra, provided by the Vertical Flight Society. Resources related to the 209 Firewatch Cobra, provided by public sources across the internet.